ANGELES City Vice Mayor Bryan Nepomuceno said Sunday, February 10, that volunteer students from colleges and universities in the city will be tapped for the successful holding of the 2019 Southeast Asian Games inside Clark Freeport Zone. “Our very own young students will be given the opportunity to contribute to the success of this international sporting event. 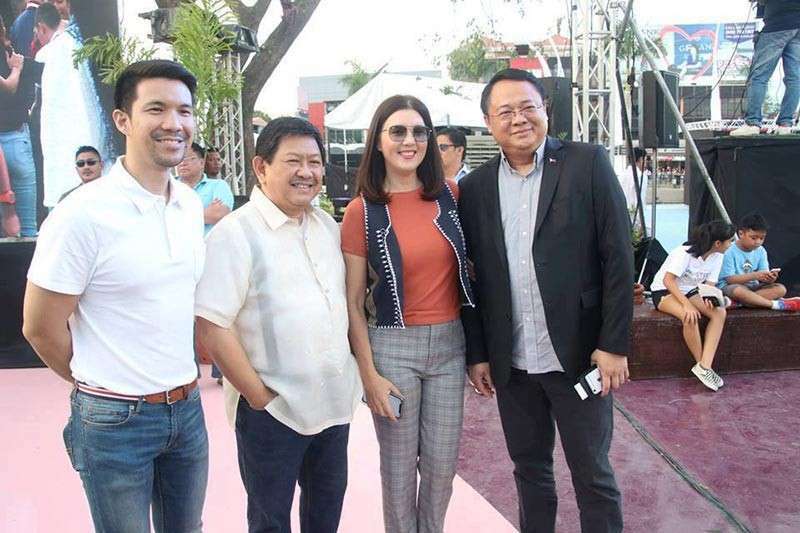 Through them, we will be able to showcase to the world the Angelenos’ brand of professional conduct, hospitality and innate talent,” Nepomuceno, who is also the official candidate for Angeles mayor of local majority party Abe Kapampangan, said. Nepomuceno, who is a health and sports enthusiast active in motorbike riding, marathon running and basketball, said the participation of Angeles students in the 2019 SEA Games is being coordinated by the Office of the City Vice Mayor with the SEA Games Volunteer Program of the 2019 SEA Games organizing committee and the Philippines Sports Commission (PSC). As preparation for this project, Nepomuceno said he has invited college and university officials and student councils for a meeting to discuss what needs to be done. He said volunteer students may be tapped for a number of games-related activities and events such as for cultural presentations, international delegate assistance and sporting events promotions. The PSC told the city vice mayor that 12,000 volunteers overall will be needed during the games. During recent a dialogue with the Hotels and Restaurants of Association of Pampanga (HARP), Nepomuceno disclosed that he will make sure that the city will be able to take advantage of the hosting of the SEA Games in promoting the city’s tourism potentials. Former senator and foreign affairs Secretary Alan Peter Cayetano, chairman of the games overall organizing committee, recently revealed that the 2019 SEA Games will be held in four major events hubs in Clark, Subic, Metro Manila and the so-called BLT area (Batangas, La Union and Tagaytay). The main hub at Clark will feature the 9,500-hectare New Clark City Sports Complex that has a 20,000-seater athletics stadium, a 2,000-seater aquatics center and an athletes’ village with commercial banks and restaurants with 310 PWD-friendly units. Spearheaded by the Bases Conversion and Development Authority (BCDA), construction of the New Clark City Sports Complex is expected to be finished by the August 2019 at an estimated cost of between P3 billion to P6 billion. In its 30-year history, this will be the country’s fourth time to host the SEA Games featuring a record high of 56 sporting events. Twenty-one sporting events will be held at Clark, 19 in the Metro Manila, 14 in Subic and four in the BLT area. The opening ceremony will be held at the Philippine Arena in Bulacan while the closing ceremony will be held in New Clark City Sports Complex.